Aberdeen’s Beach Ballroom opened in 1929 and quickly rose to prominence as one of Scotland’s premier entertainment venues. It has hosted a variety of acts over the decades including The Beatles and Pink Floyd. 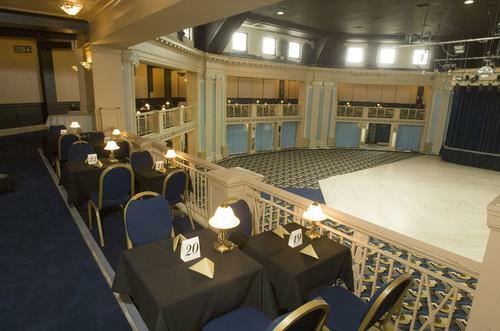 One of its standout features has always been the uniquely bouncy floor in the ballroom that gives dancers special bounce and added elegance when performing. 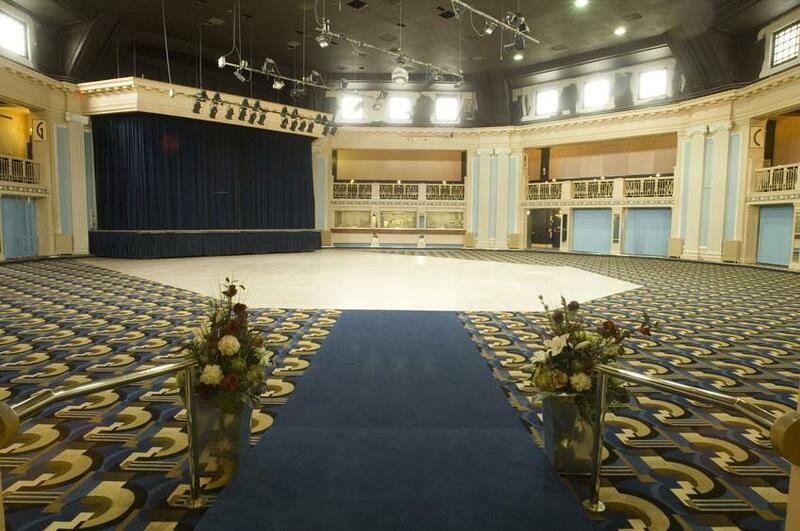 The Beach Ballroom was refurbished after the Second World War but remained largely untouched until 2008 when Aberdeen City Council decided to embark on a large-scale refurbishment project to restore the venue to its original 1929 glory. 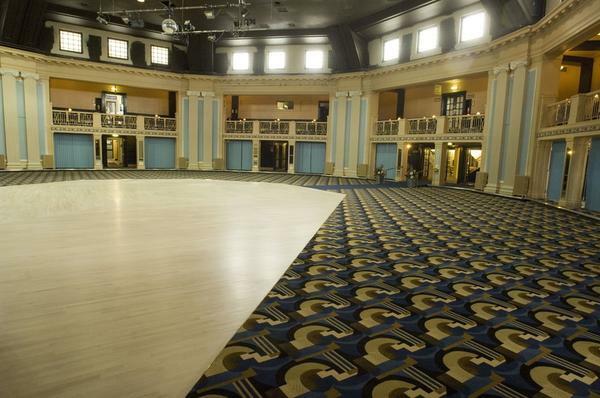 Brintons’ expertise in delivering projects that require period carpet meant it was commissioned to design and manufacture period Axminster carpet to be installed at the venue in time for its grand opening in April, 2010. 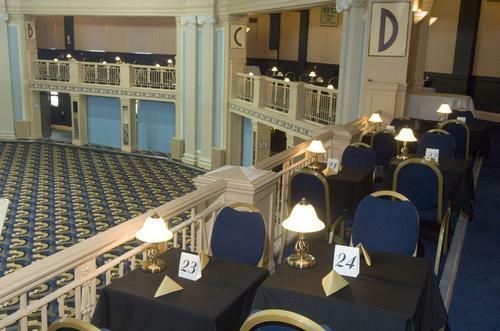 We are delighted with the design that has been used by Brintons to create the carpet because it fits perfectly with the art deco theme and our records show that the venue has successfully been restored to its former glory. To celebrate this fact, we invited Strictly Come Dancing stars Erin Boag and Anton du Beke, to open the venue.